When selecting a Spanish homeschool curriculum, each homeschooling family has a different requirements. Some parents do not speak the language, so they need something that their children can successfully learn from independently. Others need something that is specific to the age or grade level of their child. All families want the best and most comprehensive program possible. 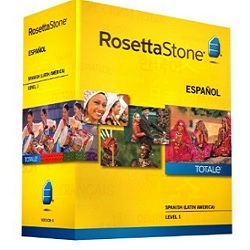 Rosetta Stone is one of the most popular language programs for adults, but it is also used frequently as Spanish homeschool curriculum. The program moves through five different levels, which can be purchased as one software kit or individually. Students progress from one level to another based on their performance on built-in tests, so it is designed for independent study. This program is not directly intended for homeschooling. This means there are no grade level divisions in the material. Students simply work through the five levels at their own pace. This is the best Spanish homeschool curriculum option for those teaching their children a Christian based curriculum. The software includes audio and animated lessons just like Rosetta Stone, but every element of the program is based on Christian principles. 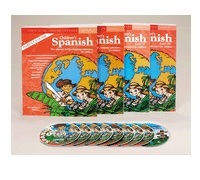 The Spanish software is just one part of an overall Christian-based homeschool software program. It falls under the Electives category, and there are different programs for different grade levels. The elementary Power Glide Spanish Program is one of the most popular ways to teach Spanish to younger children even if you have never learned it before yourself. It comes with student activity workbooks, audio CDs and a parent’s instruction guide.